Sage is a very popular herb that is used throughout the world. Originating in the Mediterranean, it was believed to be able to cure all those who were sick. Even though it is commonly used as a cooking herb, it still can be used to treat different types of illness. (Red Sage Plant, 2011). Recently, sage has shown to treat people suffering with Alzheimer’s disease. This disease occurs when the chemical acetylcholine is present in low levels in the brain. This chemical is very important because it transports different messages to the nerve cells and plays an important role in memory and thinking. Kaniecki, Diana. 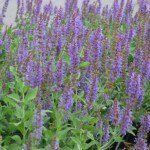 “Herb Sage for Alzheimer’s.” HERB SAGE FOR ALZHEIMER’S. N.p., 31 May 2011. Web. 18 July 2012. .
“The Red Sage Plant.” Red Sage Plant and Its Natural Health Benefits. N.p., n.d. Web. 18 July 2012..
WebMD. “: Uses, Side Effects, Interactions and Warnings – WebMD.” Sage: Uses, Side Effects,. WebMD, n.d. Web. 18 July 2012..